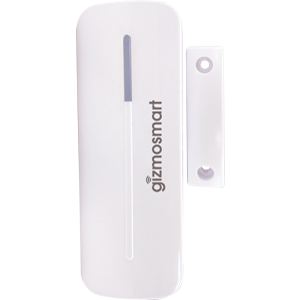 “GizmoSmart is a brand of Kochar Infotech Limited” (“Kochar Infotech Limited “, “us”, “we”) is in the business of providing Smart Home Solutions and IoT Software & Products, and Customer support through its online website gizmosmart.com as well as offline channel operation. “Software” means software, applications, programs and related data and services available for download to devices. 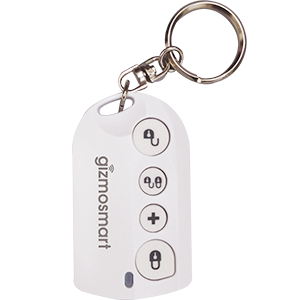 The software is offered under brand GizmoSmart and is to be used in accordance with its user agreements. “Download” means the transmission of the software in your device through the internet. “You” means the individual or organization that uses the website, downloads and/or uses the services / mobile application. By accessing or using this site, you indicate your unconditional acceptance of these Terms of Service (“Terms and conditions”). We reserve the right, in our sole discretion, to update or revise these terms and conditions. Your continued use of the site following the posting of any changes to the terms of service constitutes acceptance of those changes. The trademarks, logos and service marks (“Marks”) displayed on the website and stores are the property of Kochar Infotech Limited. End users are prohibited from using any Marks for any purpose including, but not limited to use as meta-tags on other pages or sites on the World Wide Web without the written permission of Kochar Infotech Limited. All information and content including any software programs available on or through the website (“Content”) is protected by copyright. End users are prohibited from modifying, copying, distributing, transmitting, displaying, publishing, selling, licensing, creating derivative works or using any Content available on or through the website for commercial or public purposes. In order to access a service or mobile application you must complete the registration process. With regard to your registration, you agree to: (a) provide true, accurate, current and complete information about yourself as prompted by the registration form; and (b) maintain and promptly update such information to keep it true, accurate, current and complete. If you provide any information that is untrue, inaccurate, not current or incomplete, Kochar Infotech Limited reserves the right to suspend or terminate your account and refuse any or all current and future use of the services. In addition, Kochar Infotech Limited also reserves the right to deny registration to any customer it deems inappropriate to use the services. You agree, understand and confirm that the credit card details provided by you for availing of services on GizmoSmart.com are correct and accurate and you shall not use the credit card which is un-lawfully owned by you. Thus, you must not pay or attempt to pay for product(s) using fraudulent credit card information. You further agree and undertake to provide the correct and valid credit card details to Kochar Infotech Limited. Also, the said information is not utilized and shared by Kochar Infotech Limited with any third parties unless required for fraud verifications or by law, regulation or court order. Kochar Infotech Limited is not liable for any credit card fraud. The liability for use of your card fraudulently will be on you. At the store, you can pay for your purchase via cash or debit/credit card. Online payment can be done via credit card/debit card, netbanking or ITZ Cash. Kochar Infotech Limited provides a safe payment gateway – RazorPay (Razorpay Software Private Limited). We cannot be held liable for a declined or failed payment transaction. However, our customer care representatives will try our best to help you in case of a failed transaction. Kochar Infotech Limited reserves the right to recover the cost of products, collection charges and lawyer’s fees from persons using the website fraudulently. We reserve the right to initiate legal proceedings against such persons for fraudulent use of the website and any other unlawful acts or omissions in breach of these Terms of Service. You are responsible for maintaining the confidentiality of your password and account details. You are responsible for all activities that occur in your account and you agree to notify Kochar Infotech Limited immediately of any unauthorized account use. We are not responsible in any way for any loss that you may incur as a result of any unauthorized usage of your account or password. Kochar Infotech Limited provides 100% original and safe products. Any Kochar Infotech Limited product purchased online or at a store comes with its own terms and conditions which are specifically mentioned in its user guide. Kochar Infotech Limited does not support any kind of piracy or malpractice whatsoever and is intolerant towards such an occurrence. Strict action pertaining to the law will be taken against the offenders. Partnership with Kochar Infotech Limited is an official contract between two or more parties that are bounded by common terms and conditions. By partnering with an individual or organization, Kochar Infotech Limited does not become their propagators or part of their identity and vice versa. It is just a mutually beneficial collaboration to achieve a common goal efficiently and the respective ideologies of the individual or organization stands true. Any dispute whatsoever falls in the Amritsar jurisdiction. There are various ways in which a patron can reach us for any kind of support-email, toll free number or Skype. Kochar Infotech Limited aims to give the best in attending our customer’s woes. Though GizmoSmart has no limits on the amount of online support requests a Subscription based plan user may make during the subscription period, however, each Subscriber’s use of the support services for the subscription based plans are subject to GizmoSmart “fair use” policy. Under this policy, if at any time, in GizmoSmart sole discretion, a subscription based plan user is found to be abusing the service by exceeding the level of use reasonably expected from someone using a Subscription based Plan for individual use, and then GizmoSmart serves the right to suspend or terminate Subscriber’s Subscription Services. 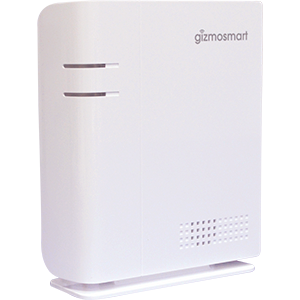 In addition, GizmoSmart reserves the right to suspend or terminate any Subscription Services of any Subscriber that GizmoSmart in its sole discretion, determines are being used (a) fraudulently, (b) by any person other than Subscriber, or (c) for any computer system other than a Registered System. 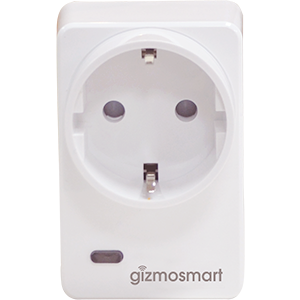 User may terminate the Service at any time by giving written or electronic notice to GizmoSmart provided, however, that User will not be entitled to a refund of any fees prepaid by User for the Service. 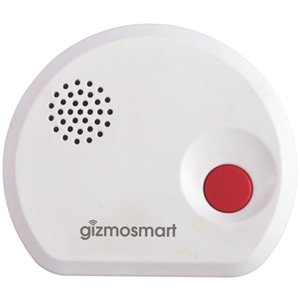 The GizmoSmart website may contain links to other sites on the Internet like our affiliates, advertisers or third parties. You acknowledge that we have no control over such websites and that we are not responsible for the accuracy, content, legality, or any other aspect of any linked website. In no event shall any reference to any third party, third party website, or third party product or service be construed as an approval or endorsement by us of that third party, third party website, or of any product or service provided by a third party. You agree to indemnify and hold Kochar Infotech Limited (and its officers, directors, agents, subsidiaries, affiliates, joint ventures and employees) harmless from any claim or demand, including but not limited to reasonable attorneys’ fees, or arising out of or related to your breach of these Terms of Service, or your violation of any law or the rights of a third party. This clause shall survive the expiry or termination of these Terms of Service. You expressly understand and agree that Kochar Infotech Limited and its subsidiaries, affiliates, officers, employees, agents, partners and licensors shall not be liable to you for any direct, indirect, incidental, special, consequential or exemplary damages, including, but not limited to, damages for loss of profits, opportunity, goodwill, use, data or other intangible losses (even if Kochar Infotech Limited has been advised of the possibility of such damages), resulting from use of the site, purchase or consumption of products, content or any related/unrelated services and other services offered on the website from time to time.